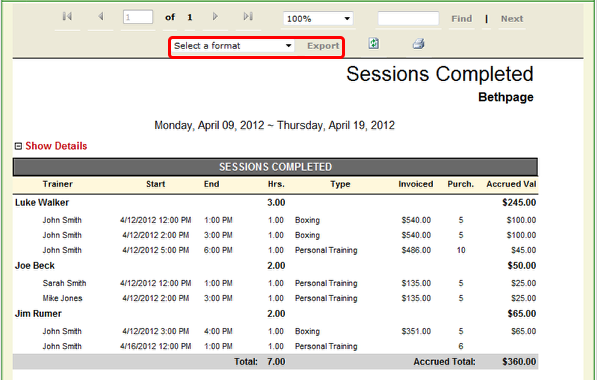 Generate a report of sessions completed, grouped by client. A completed session is a session where the attendance status is marked as Attended. 3. Show clients in this category allows you to choose a client category to show completed sessions by client in this category.